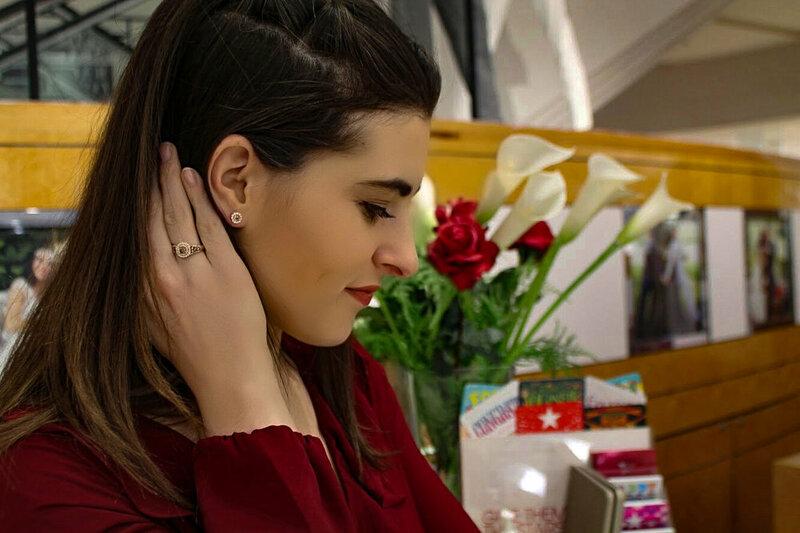 Macy's, Valentine's Day — Denv.Her. Valentine’s Day is quickly approaching denv.her. bbs! 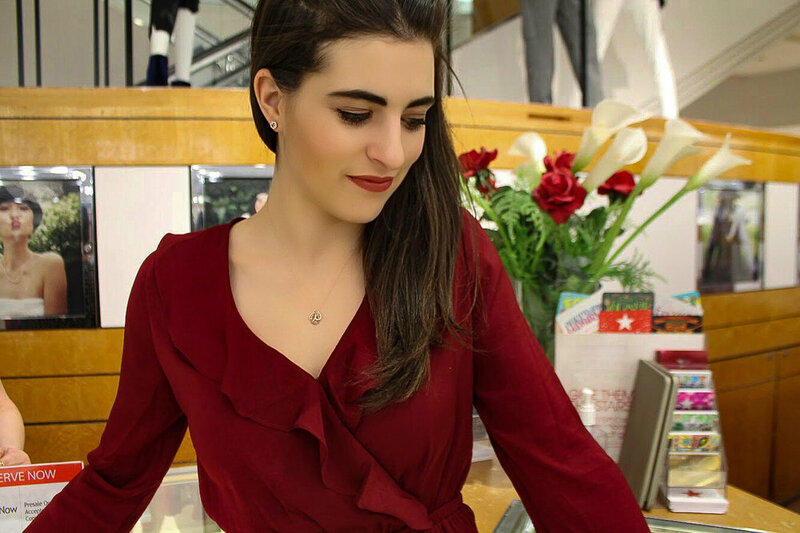 & whether you’ll be spending a romantic evening with your amazing sig other or with your girls for an epic Galentine’s Day, Macy’s has you covered with perfect V-day gifts and gorg Valentine’s Day outfits. HUGE thank you to Macy’s for once again treating us to their amazing product! We can never leave our readers out of the fun so please head to our Instagram page (@denv.her) to enter to win a $100 Macy’s gift card! 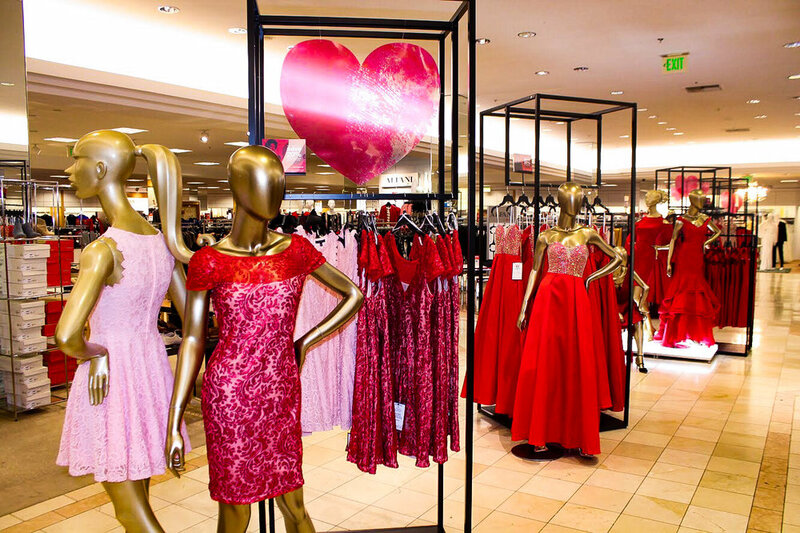 This is your chance to get in on all of the Macy's Valentine's Day fun! Good luck and the winner will be announced via Instagram on Saturday, February 10th, 2018! #MEOW (seriously Cara Delivingne is goals), BUT chocolate diamonds that is! 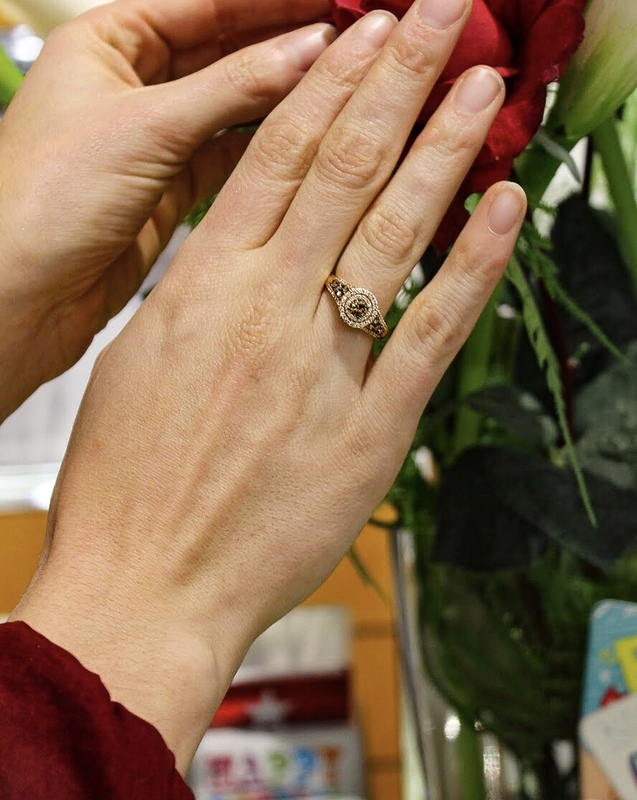 Macy's has an assortment of Le Vian Chocolate diamonds that you'll want to indulge in. & with this kind of chocolate, you'll want to show it off #braggingrights. 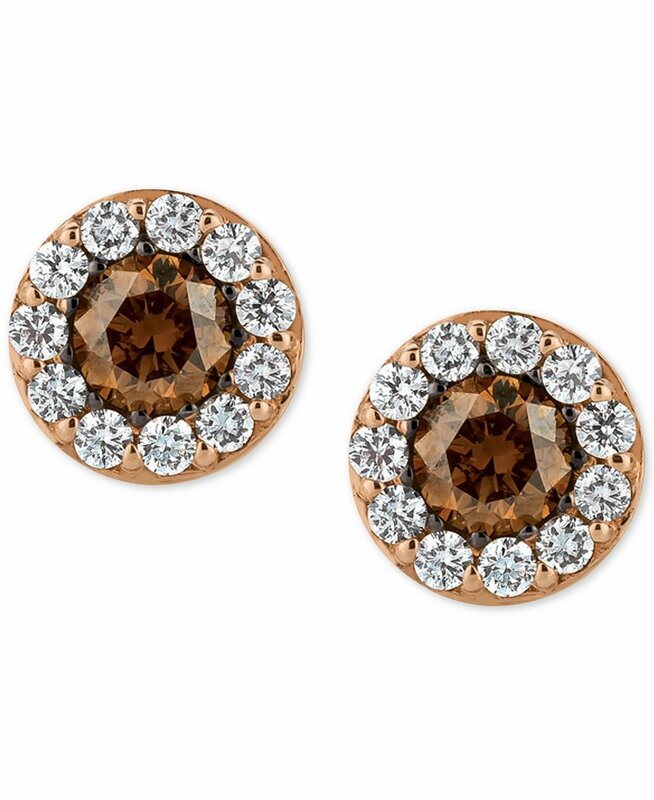 How gorgeous are these Le Vian Chocolatier Diamond Stud Earrings in 14k Rose Gold? They’re the perfect eye catching stud that will add sparkle to any outfit. The white diamonds on the outside, the chocolate diamond on the inside, and the rose gold base make these earrings pair-able with pretty much any color! This is the Le Vian Chocolate by Petite Diamond (1/3 ct. t.w.) 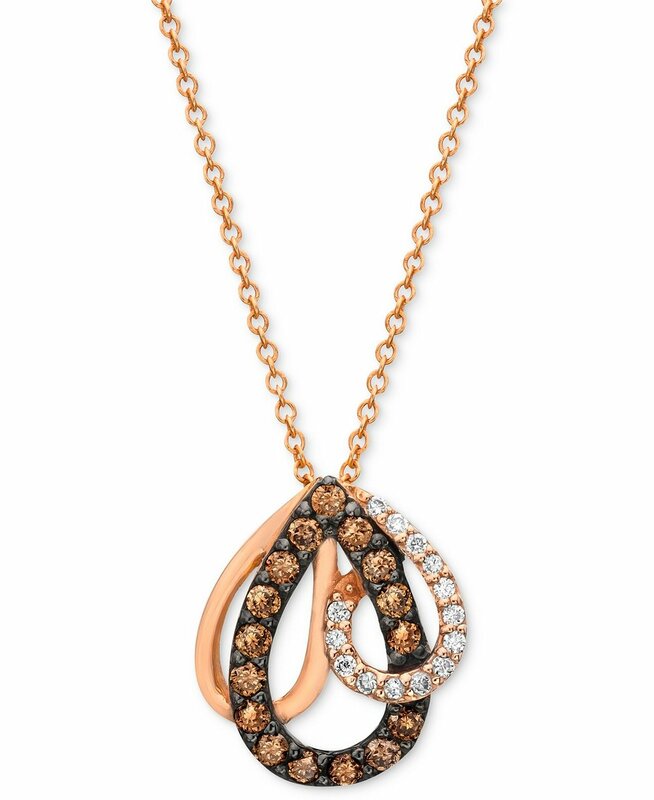 Pendant Necklace in 14k Rose Gold. It’s a delicate stunner that maintains simplicity while still being a timeless piece. This necklace can be worn solo or can be layered with a thick rose gold choker and a long rose gold chain. Now take a look at this Le Vian ring. #SWOON. This is the Le Vian Chocolatier® Chocolate Diamond and White Diamond Halo Ring (3/4 ct. t.w.) in 14k Rose Gold. This double halo ring is a masterpiece that you won't want to take off your finger (we certainly didn't want to)! & can we just talk about the rose gold trend Le Vian is incorporating into their pieces? We love, love, love rose gold - good job Le Vian! Macy’s is currently offering AMAZING savings on these stunning Le Vian pieces so now is the time to buy! Regularly $2,600, the earrings are currently on sale for $1,430 and if you use the code SHINE at checkout, you will get an additional 20% off. Regularly $1,000, the necklace is on sale for $440 with the code SHINE at checkout. Regularly $2,800, this ring is now on sale for $1,232 with code SHINE at checkout. Once you’ve decided on the perfect Le Vian piece for that special someone, another great Valentine’s gift idea is a Macy’s perfume set. Macy’s has a huge selection of perfumes to choose from and denv.her. has two favorites. Treslyn’s favorite scent is Good Girl by Carolina Herrera & mine is Light Blue by Dolce & Gabbana. Good Girl has a jasmine and seductive tonka smell and Light Blue has a lively, fresh floral scent reminiscent of summer. 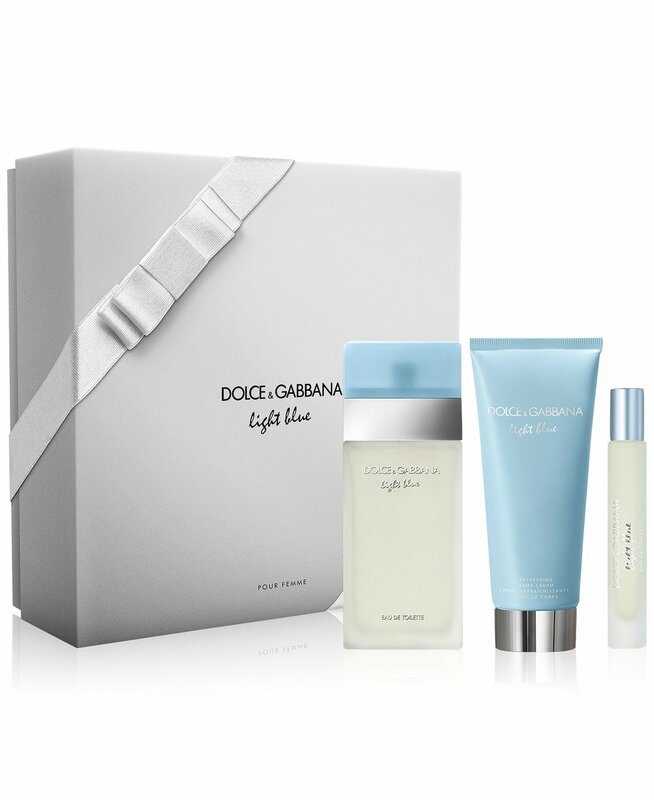 The Good Girl by Carolina Herrera set runs at $120 and Light Blue by Dolce and Gabbana runs at $103. Both are great options for your Galentine or Valentine! Now, the men in our lives also have to smell good! Macy’s of course has you covered on this end too. Hugo Boss, BOSS THE SCENT is our go to for the boys. This cologne is irresistible. Ginger, maninka fruit, and leather are the undertones of this scent - you put this on your man and you'll be on him like white on rice, all - night- long. So, now you have your Le Vian chocolate, your favorite perfume (and or cologne), and now you have to get dressed for the occasion! You want to make sure you knock your date or galentines right off their feet with the perfect outfit. 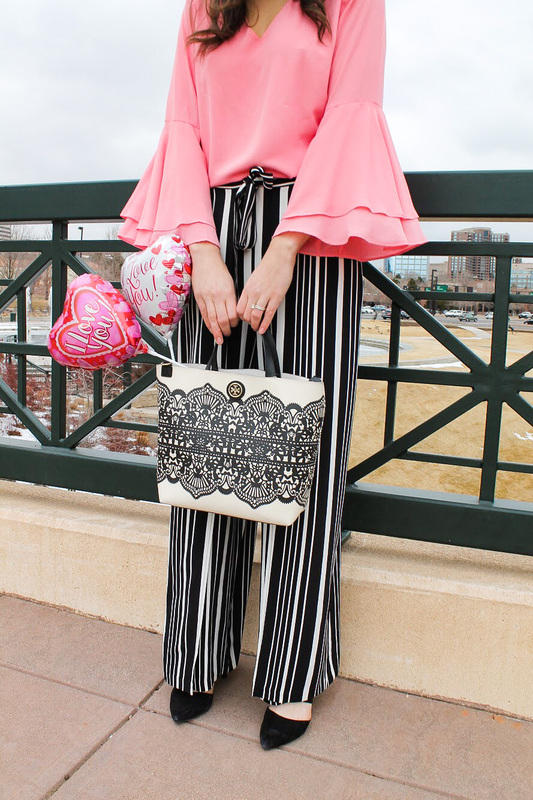 For our first V-Day look, we chose an office appropriate ensemble that you can take straight from work to your Valentine's Day date. Where to wear this look? A day at the office and this look can transition into HH or a dinner date. ...A LOT lol. These pants are seriously SO cool and fashion forward! They are Bar III and Bar III is a Macy’s brand that took us by surprise this shopping trip. 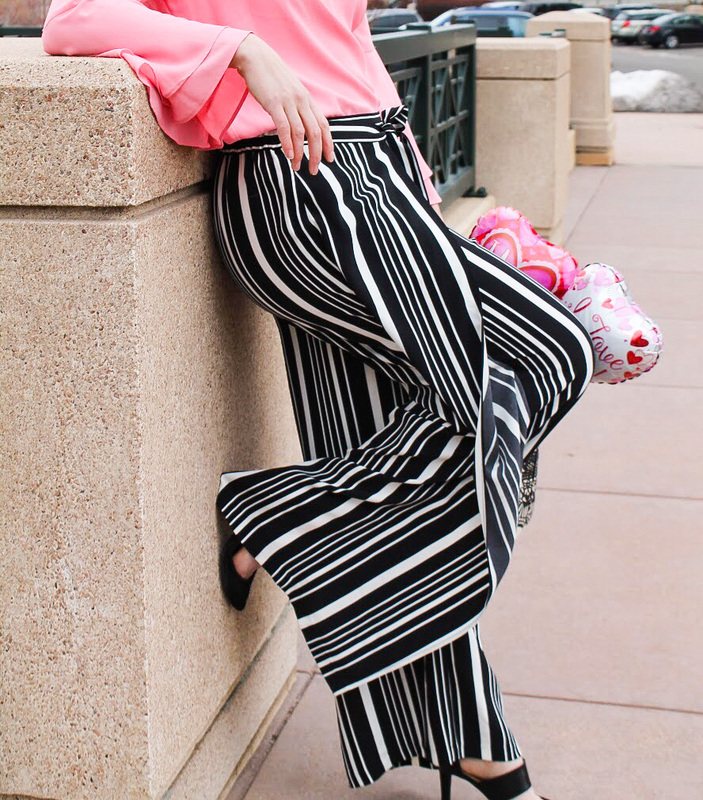 The Bar III Striped Faux-Wrap Wide-Leg Pants were created exclusively for Macy's and make that fun fashion statement we know you're looking for. They have a faux wrap detail on the leg that makes them really flare out in the wind or when you walk. These pants are $59.50. This soft shell pink top is the Alfani V-Neck Poet-Sleeve Top created exclusively for Macy's. The ruffle bell sleeves on this top complement the flare of the Bar III pants (this makes for a cohesive look). This top is currently on sale for $41.99! 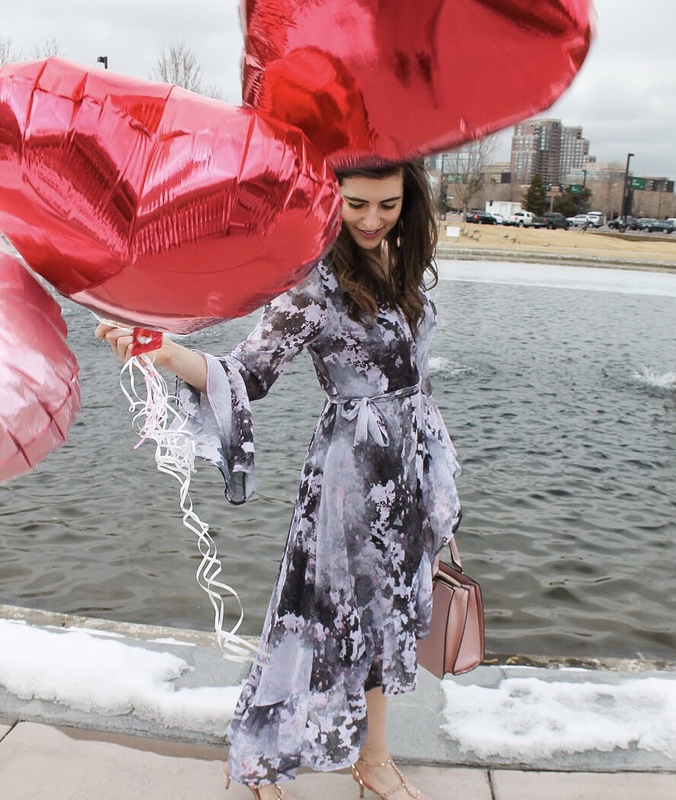 For our second Valentine's Day look, we wanted a dress for a fancier V-Day dinner date & Bar III came back again to steal the show! Where to wear this look? A fancy dinner - steal the show! Such a show stopper right? This is the Bar III Asymmetrical Maxi Wrap Dress, created exclusively for Macy's. 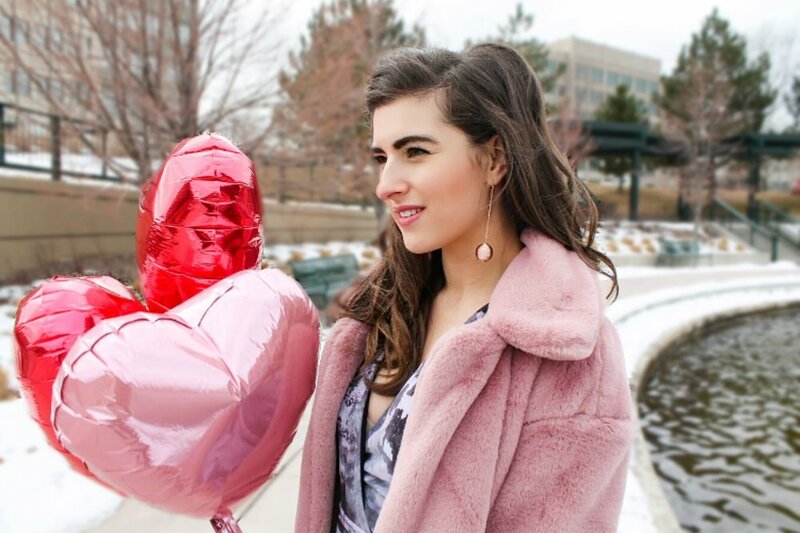 This dress' playful paint splatter print incorporates a lovely baby pink that we paired with a pink fur jacket and pink purse. This romantic Bar III dress can be yours for only $89.50 and is worth every penny! Now, we couldn't complete this look without a pair of dress shoes from Macy's. These are the INC International concepts Carma Pointed Toe Studded Kitten Heel Pumps, created exclusively for Macy's. These gorg babies come in blush and black and are a heel we will be wearing all the time. They have a very polished look and are perfect for business professional and or formal occasions! These shoes retail at $89.50. For dainty details, we went with the INC International Concept Two-Tone Wrapped Orb Linear Drop Earrings, created for Macy's. The rose gold thread on the earrings keeps with the pink undertones of the Bar III dress. The dropped orb style of these earrings is super chic and on trend. You are now dressed and ready to take on the day of #luurve thanks to Macy's! Happy Valentines Day beauties and denv.her. & Macy's hope it's as fabulous as you are! See below for product links and happy Macy's, V-Day shopping!